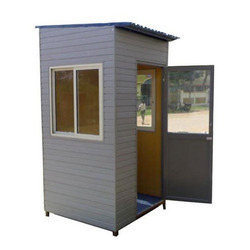 Our product range includes a wide range of security guard cabin. Pre-fabricated security cabins are adequate to install at construction sites, offices, hotels, restaurants, educational and residential institutions among other sites. These cabins are well finished and machined using modern equipment to provide precise dimensions. We make pre-fabricated security cabins using quality raw material in tandem with industry standards.